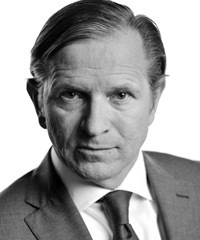 Appointed to his current role in May 2010, Marc Bolland began his career at Heineken NV in the Netherlands in 1987, occupying several marketing and sales management roles. In 1995, he was appointed Managing Director for Heineken in Slovakia, becoming Managing Director for Heineken Export Worldwide in 1999. Bolland was then appointed to the Board of Heineken NV in 2001, with responsibility for global marketing, as well as the regions of Western Europe, the United States, Latin America, and Northern Africa. In 2005, he became Chief Operating Officer and then joined Morrisons as Chief Executive Officer in September 2006. Bolland is currently Non-Executive Director of Manpower Inc. U.S., and has previously held the same role at Hotel de I’Europe in the Netherlands and at Quilmes, Argentina.